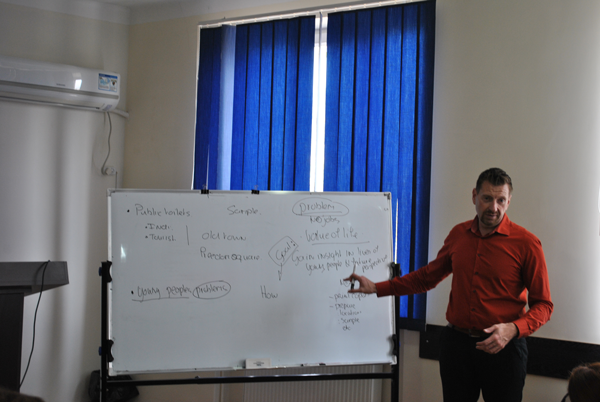 Within the framework of Erasmus + , started a lecture course of the Dutch Professor Dr. Jorn Van Rai (Inholland University, Netherlands) at Guram Tavartkiladze Tbilisi Teaching University. The theme of the lecture course is "Specifics of organized crime in accordance with ethnographic factor". Students of Law Faculty are attending the lecture course. The course of lectures started today and will last until November 2.